It has been 30 years since I wrote this book. In the original preface, I wrote that researching, writing, and publishing this book had been one of the most rewarding experiences of my life. Thirty years later, I still feel that way. The internet version of the book includes all of the text of the book, and approximately half of the photographs. Many of the people featured in this book are no longer with us. My hope is that some of their children, grandchildren, and perhaps even great-grandchildren will find this on the internet and enjoy hearing their story. This book captures the spirit of a growing, innovative company. It includes the disappointments as well as the joys, the people as well as the events, and the humorous as well as the serious. It is a story of dedication, determination, and success, told in narrative, in photographs, and often in the words of the people who made it happen. 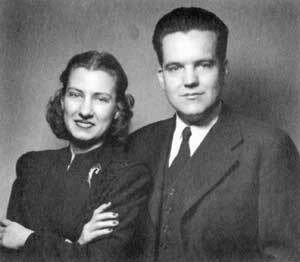 While I was visiting in Virginia in the fall of 1977, Dot Comstock, my aunt, mentioned to me that the idea had germinated among several people at Teledyne Hastings-Raydist that the story of the company deserved to be put into a permanent form. She wondered if I had any interest in such an undertaking. Over the next few days I thought about it, and the more I thought about it, the more I liked the idea. 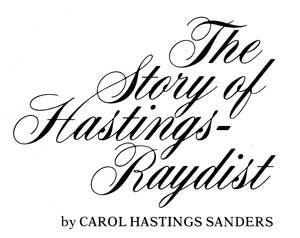 Before I left, I told her and people at Hastings-Raydist that I wanted to take on the project, and that I planned to write an informal history, filled with photographs, capturing the adventure and spirit of the company's history. It was one of the best decisions I have ever made, for researching, writing, and publishing this book has turned out to be one of the most rewarding experiences of my life.